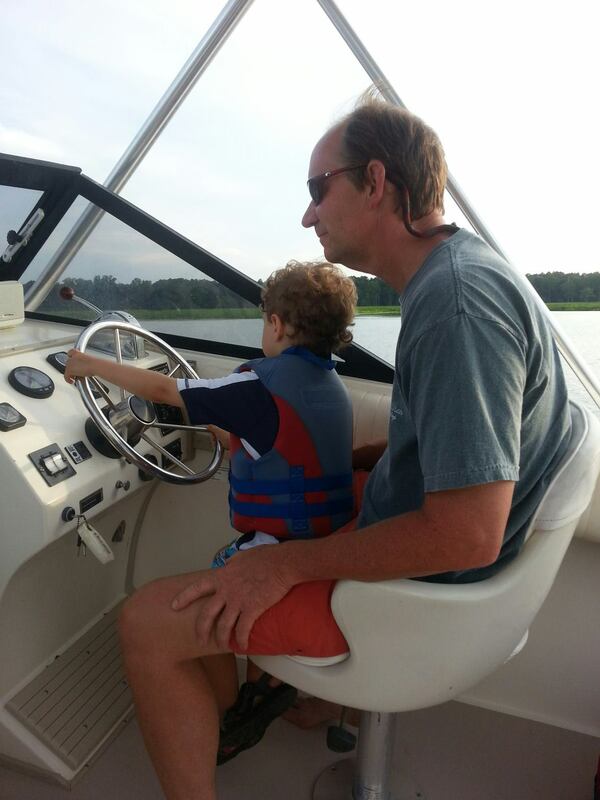 We spent Saturday on the Chickahominy River with my son and his family. 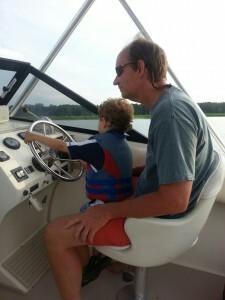 We went out in the boat and our nearly 4 year old grandson, Riley was given the privilege of driving the boat…or so we let him think. He is a fanatic for anything with wheels and/or that goes fast. So he sat in my husband’s lap with his little hands on the steering wheel as we cruised along! Seeing life through the eyes of a 4-year old is a delightful treat! Everything has wonder. Life is full of possibility. And where Riley is concerned, there is a never-ending story to be told! Riley gets his glibness from his daddy who gets it from, well both his father and his mother…me thinks. Designed by Three Rivers Promotions and Marion Winall. All images copyrighted.